Annabelle West (Laura La Plante) is eager to learn the contents of her uncle Cyrus West’s will. When he died, he left instructions that his will could not be read for twenty years. The time has finally come for his greedy nieces and nephews — Annabelle, Charlie Wilder (Forrest Stanley) and Paul Jones (Creighton Hale) — to find out what they’ve inherited from the very wealthy Mr. West. There’s one more catch for the three young folks: in order to receive the inheritance, they must spend the night in Cyrus’ eerie mansion and have their sanity evaluated by the doctor. Annabelle is first in line for the inheritance, because she is the most distant relative bearing Cyrus’ last name, and he doesn’t want any of the people who came after his money while he was living to be rewarded. But she absolutely must fulfill Cyrus’ strict terms in order to get the cash. Meanwhile, a mysterious figure within the mansion is stalking the three cousins, and a nutterbutter known as “the cat” has escaped from local asylum, putting their sanity to the test. 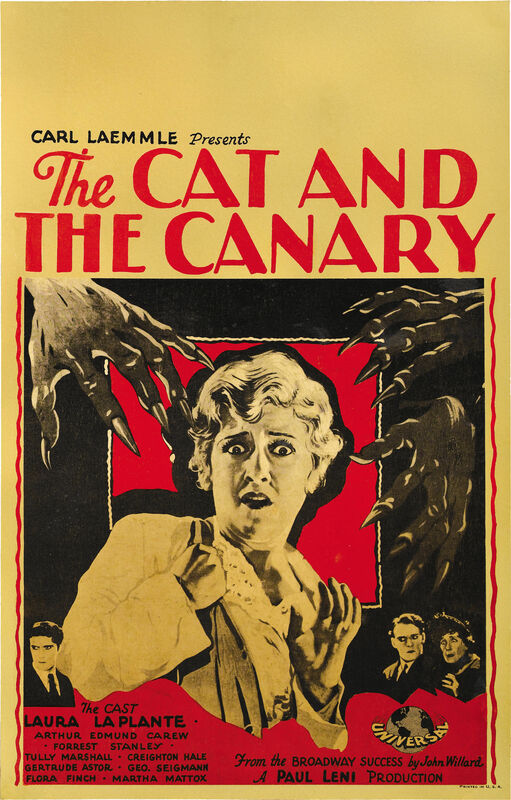 The Cat and the Canary is a 1927 silent horror flick adapted from a dark 1922 stage comedy of the same name. Paul Leni directs this film adaptation. Aside from this film, the story has been adapted to the screen five additional times (twice in 1930 and once each in 1939, 1961 and 1979). I loved The Cat and the Canary from the moment I began watching it. The film kicks off with some fantastic opening credits. A hand wipes away cobwebs and dust to reveal the titles underneath. Amazing! The film only continues to keep a firm grip on the audience from here, never letting go for a minute. Between the witty intertitles, Leni’s fantastic direction, the German expressionist visual influence, a lil’ bit of camp (sometimes from the performances, sometimes from the special effects) and an equal amount of spook factor, The Cat and the Canary is an incredibly fun silent horror. 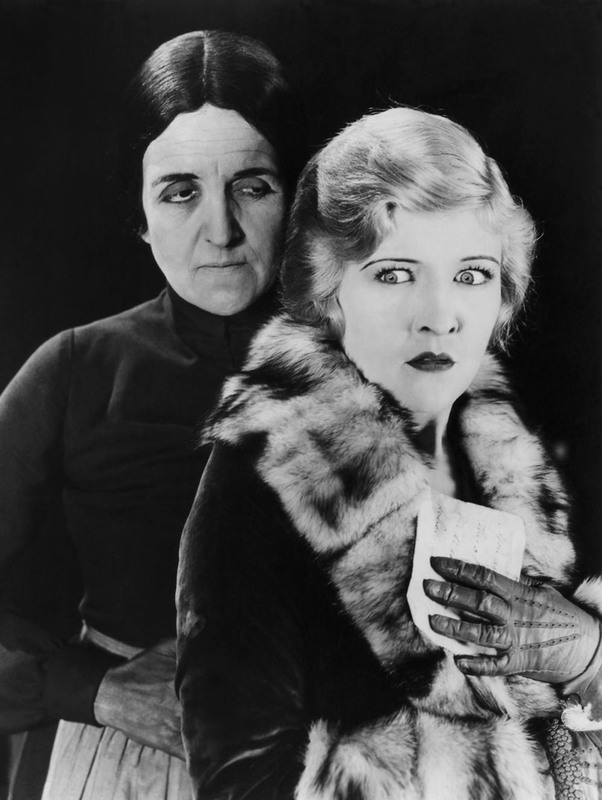 The performances are wonderful as well, especially those of Laura La Plante as Annabelle and Martha Mattox as the caretaker of the West mansion. 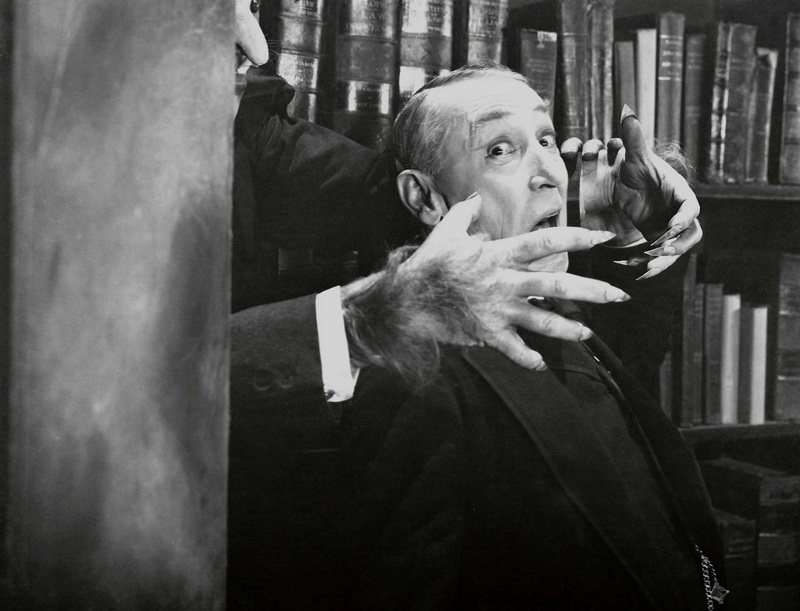 Though not the first haunted house flick to emerge from Hollywood, The Cat and the Canary has clearly had an influence on many of the spooky films that followed it. It’s a wonderful watch for any time of the year, but particularly during the Halloween season, when we’re all craving a fun, spook-tacular tale. It stays in the middle ground rather than completely devoting itself to either comedy or horror, but it’s got buckets of charm, and its successes more than make up for its shortcomings. I will have to search this out on Netflix-thanks for the info! Previous Previous post: HORROR HALF-WEEK, Day 1: What to Watch #33 + a spooky playlist!